Get here UGC NET 21 Dec 2018 Answer Key with Question Paper. NTA has released the final Answer Key on ntanet.nic.in. NTA has conducted UGC NET Paper 1 and Paper 2 on 21 Dec 2018. The candidates appeared in the exam can check the answer key. National Testing Agency (NTA) releases official UGC NET Answer Key 2018 at ntanet.nic.in. From this page, candidates will get full information regarding UGC NET 21 Dec 2018 Answer Key with Question Paper. Answer key helps the candidates in two way, one is from answer key candidates can calculate there marks scored in the examination and another one is. candidates can also predict their chance of qualifying the examination. For more information regarding UGC NET 21 Dec 2018 Answer Key with Question Paper check the schedule given below. NTA has released UGC NET 21 December 2018 answer key, question paper and responses on December 25, 2018. Candidates can check and submit objections until December 28, 2018. How to calculate score using NTA UGC NET 21 Dec 2018 Answer Key? Candidates can calculate the predicted result by using the UGC NET Answer Key before the official declaration. Through the answer key, candidates can check their answers written in the entrance as per the questions enlisted in the memory based question paper. Candidates will get +2 marks for each correct response. 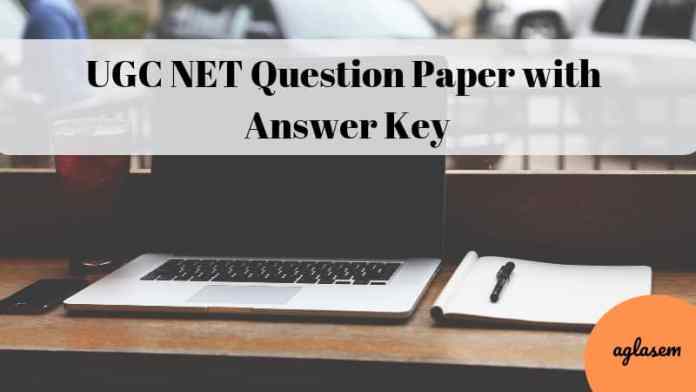 How to Download UGC NET Answer Key? Candidates must follow the steps given below to know the procedure of downloading the UGC NET Answer Key from the official website. Thereafter, click at the download option for downloading the answer key. There is a criteria discovered by NTA in which the appearing candidates can even challenge the answer key by submitting their queries. In case, if any candidate is not satisfied with the answer given in the official UGC NET Answer key then he/she can pay the prescribed amount to the NTA and challenge the answer on the official website nta.ac.in. NTA will charge Rs. 1000/- per question challenged by the candidate. Candidates will have to submit the concerned query on NTA’s official web portal. No other medium will be entertained by NTA as a matter of concern. An answer key is a medium for the aspiring candidate to evaluate their result before its official declaration. By using the Answer key, candidates can cross check their answers which they have written in the entrance and comes up with an assumption of the contemplated result by their own. Although, it is advised to all the candidates to do not fully rely on the result calculated by them as there are the possibilities of the changes. The checking criteria for each examination differ as per the conducting body and checking master accordingly. Candidates must check the marking scheme before evaluating the result as it will help in the proper calculation. The result for UGC NET Dec exam will be published in the month of Jan 2019 at the official website of NTA. Candidates who will be appearing in the entrance exam will be able to check their result on www.nta.ac.in. To access the result page, candidates first have to log in to the candidate portal by filling the asked credential carefully and submit it on the prescribed page. Aspirants must download the result after checking it as they will need the hard copy of their result at the time of the counseling process.